A lot of watch conversation happens in high places. 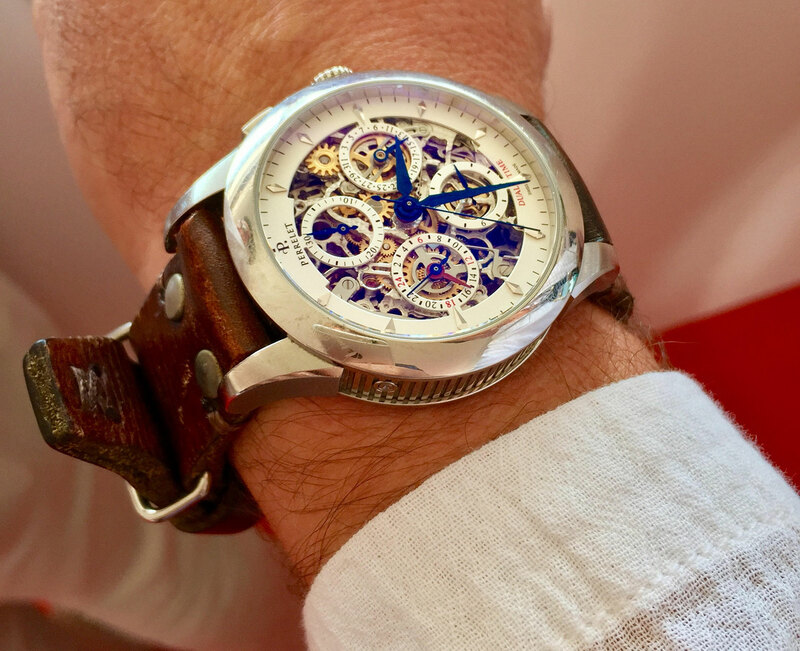 So it should come as no surprise that our recent trip to Monaco, where we spent a good four days standing at bars and in VIP lodges with celebrities and billionaires, yielded a ‘My Watch Story’. The subject is Will, and he manages a raft of high profile bands and actors. His choice of wrist wear for this day, and every day, is a Perrelet. Last summer I went to see one of my clients (musician Zac Brown) and to stay at his house. We sat down to dinner with his family, and afterwards he left the table and came back with this roll containing a couple of watches. He pulled this one out and he said, “try this on”. I put it on and said, “This is an amazing watch, wow! And the band is really cool.” I tried it on and was asking him how long he had had the watch for. 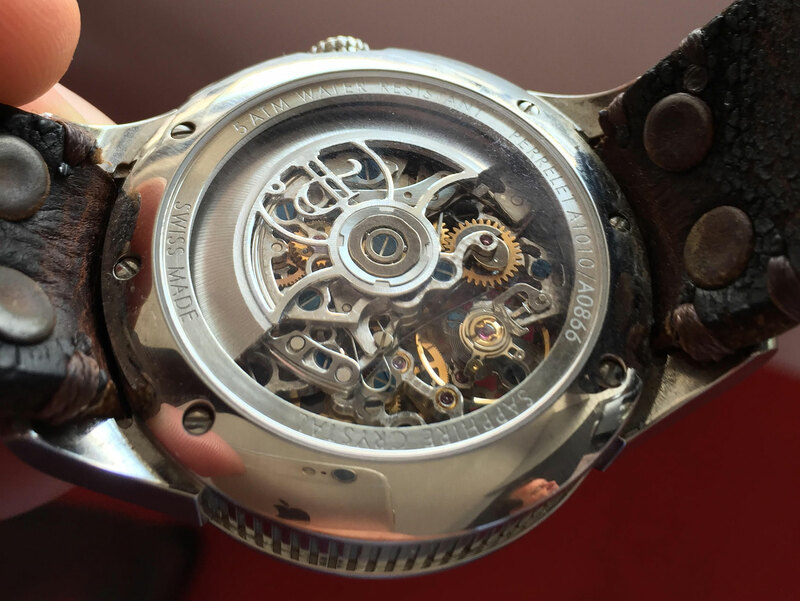 He said, “It’s not my watch anymore…. I had it for three years, but it’s your watch now.” I’d been sick and he said “After what you’ve been through, this is your watch.” I don’t take it off unless I’m in the shower. Do you own other watches? I’ve had a bunch of watches. And I always change them up for black tie, or casual. Since I’ve got this watch, I don’t take it off. 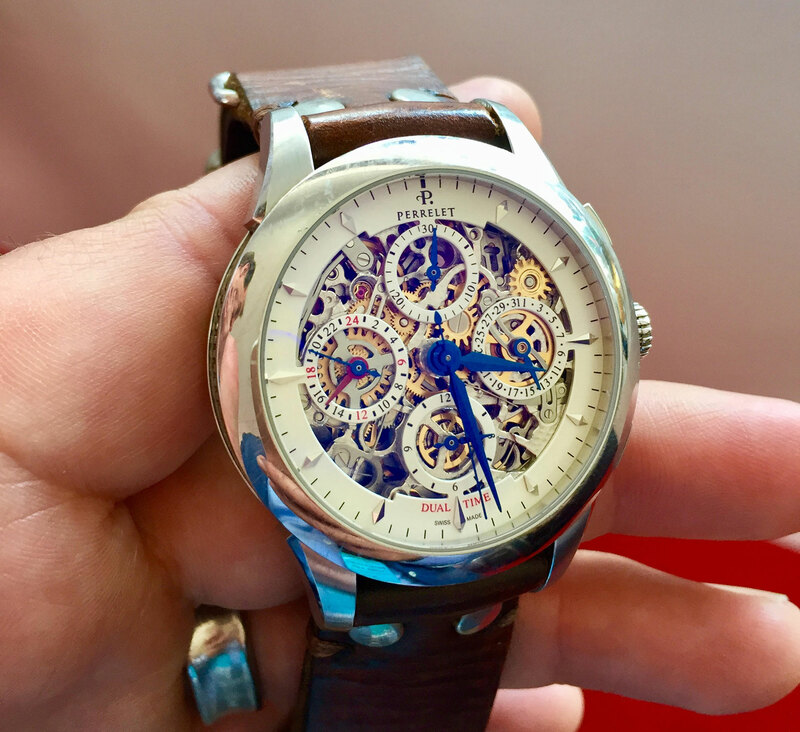 The story is nice, but as a watch, it’s so intricate and beautiful and the band is such a big part of it. It’s unique. It just feels like home. I’m 46, I can’t even see ‘em. But they sure look cool.